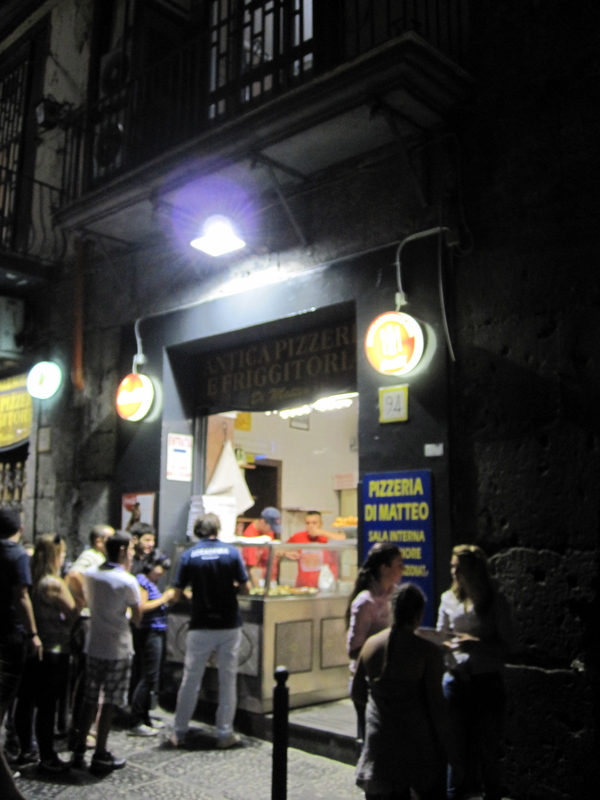 Writing my post about pizza yesterday inevitably got me thinking about Naples – where pizza was created and where you’ll find the best pizza in the world. Although, of course, there’s always argument about which is the ‘best’. 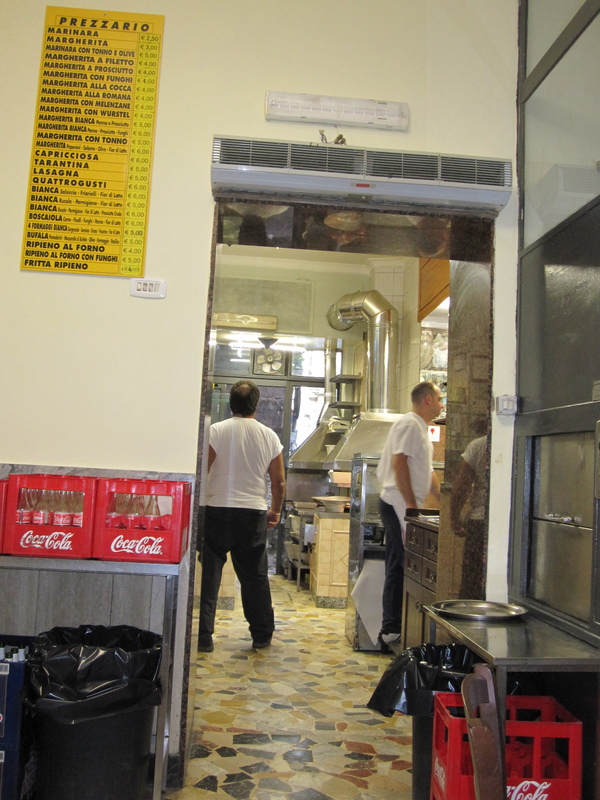 Just as you might argue about whether Caffe Sant’Eustachio or Caffe Tazza d’Oro serve the best coffee in Rome (and perhaps the world), in Naples the big question is whether Pizzeria Di Matteo or Pizzeria Gino Sorbillo serve the best pizzas. The only answer really is to try them both! Naples is such an exciting, wonderful city, although I’m not sure it’s a place I’d choose to visit on my own. The last time I was there – about a year ago – and wandered off on my own for a couple of hours, I decided it was definitely a city that required company. I’m not a nervous traveller and happily travel a lot on my own, but there’s a slightly dangerous edge to Naples. Certainly even negotiating one’s way through its narrow streets at night as Vespas speed past you is a bit nerve-wracking, and vehicles of all kinds completely disregard things like pedestrian crossings and traffic lights. However, I still love it – and last time I was there, with my daughter, we had a great time. We stayed in a brilliant small hotel (courtesy of Lonely Planet guide) right in the heart of Centro Storico – Hotel Pignatelli – where we had a large and nice room for just €70 a night. There was coffee and croissant on offer for breakfast at just €3 but we opted to go out and find a cafe, and there are plenty nearby to choose from. We did a lot of sightseeing in the day and once did a day trip to Ischia, an island off the Bay of Naples, near to the better known Capri. A highlight of the day though was a walk to the nearby Piazza Bellini in the evening, which is full of bars. Our favourite was Bar Emmelemme where we’d sit with a glass of wine before heading off to eat; they always brought nuts and crisps but sometimes we’d also order some bruschetta. Then it was pizza time. Pizzeria Di Matteo is in Via dei Tribunali, a short walk from the bar. It’s a very unpretentious place, more akin to a builders’ ‘caff’ than a ‘restaurant’ – but it was good enough for Bill Clinton when his visited Naples while US president, so who were we to complain. But then you are not there for anything other than one of the best pizzas you’ll find anywhere. The menu is also very short, but Neapolitans like their pizzas simple. The two most popular ones of marinara which is just tomatoes, garlic and oregano, and margherita which is tomato, basil and mozzarella. Most people are buying to take away and there’s sometimes a big crowd of people outside. They also serve misto di frittura – vegetables like courgette flowers or aubergine, fried in a light batter. After we’d ordered our pizzas, we saw them frying these, took a look and ordered some too. They were wonderful, as were the pizzas. When in Italy, what is the only option after your pizza? Ice cream of course. We found a wonderful gelateria by chance as it was on our route from the hotel to Piazza Bellini. 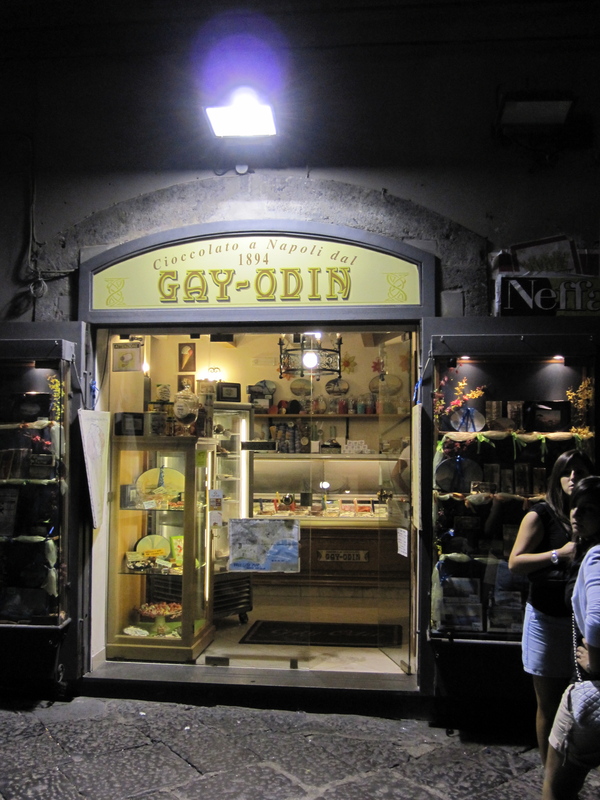 Gay-Odin serves chocolates and ice cream. 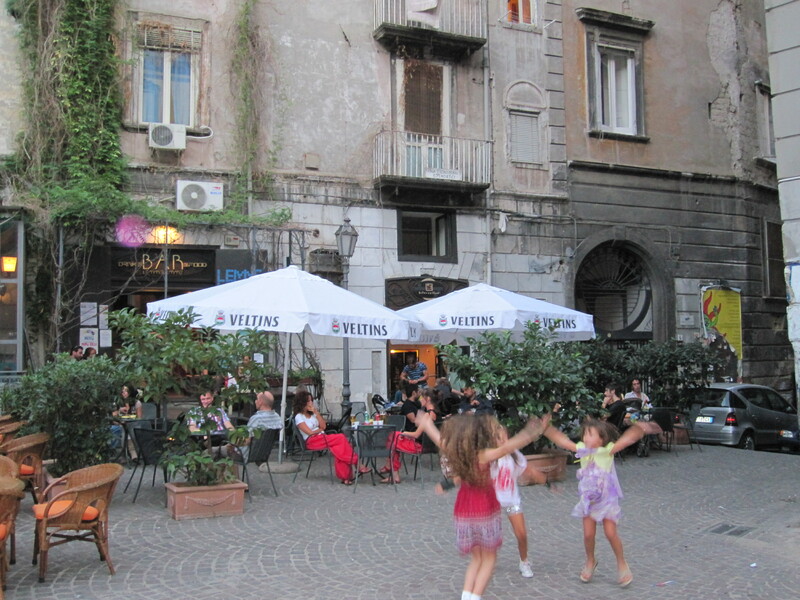 When Italians eat in a restaurant – or pizzeria – they often go elsewhere for coffee and ice cream so we felt we were truly entering the spirit of Naples to walk from our pizzeria to the gelateria. It’s street food really (although we did choose to sit at a table for our pizzas), where you go from one ‘stall’ to another that specialises in one thing – and thus, you find the best. Hello, I am a Neapolitan lover great food and preservation of culinary traditions. In this regard I think there is a “BIG” inaccuracy in this article and this concerns the coffee. Naples has always been considered (by the Romans and Italians) the best place to drink coffee in the world and to be read in an article about Naples, that the best coffee you drink in Rome, can not leave indifferent a food lover, for the rest I would recommend the pizzeria Sorbilla to Tribunali, certainly better than Di Matteo (no longer the pizzeria where Clinton ate the pizza) and Starita to Materdei, without a doubt the best pizzerias in Naples (and perhaps the world);). Thanks for the other suggestions. I was only alluding to the commonly stated belief that the two coffee houses I mentioned in Rome serve the best coffee in the world … but I would agree that there is a stronger coffee culture in Naples and traditionally the Neapolitan coffee is richer and stronger. 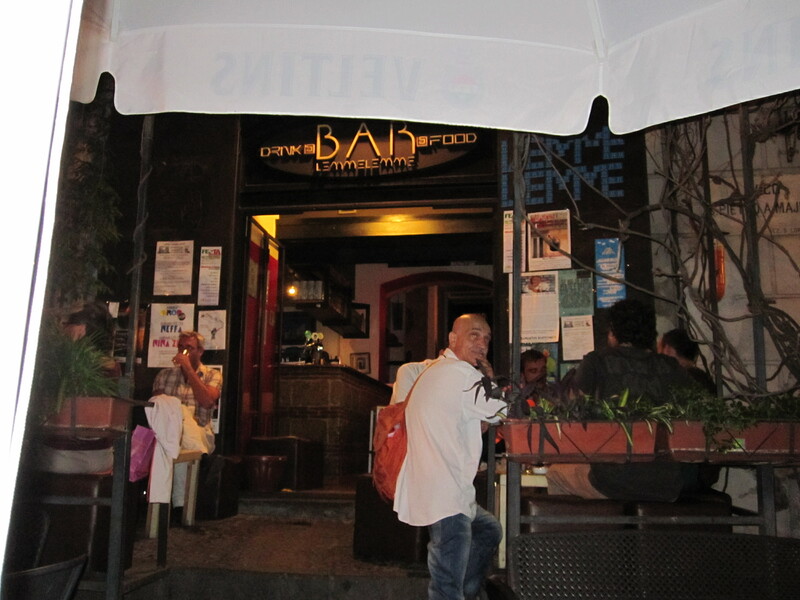 My family love Di Matteo but I went to Sorbillo as well when last in Naples 2 years ago and yes, their pizzas are great too and more choice, but it’s a different experience to Di Matteo and a bit more touristy, I think. I must try out the other 2 you suggest when next in Naples.